24 grams of the purest, muscle-building protein per serving. Contains no artificial flavors, colors, or sweeteners. Whey protein Isolates are 90% pure protein by weight. They are the purest and most expensive form of whey protein that exists. That's why they are the first ingredients you read on the 100% Natural Whey Gold Standard label. By using Whey Protein Isolates as our primary protein source, we're able to pack 24 grams of the purest, muscle-building protein per serving, with a lot less of the fat, cholesterol, lactose, and other stuff that you can do without. Gold Standard 100% Whey is instantized. That means if you forgot your shaker cup or don’t have time to get out the blender, you can just add one rounded scoop to a glass filled with 250-300ml of water or your favorite beverage. Then mix it up with a spoon. Stir for about 20 seconds or until powder is completely dissolved. 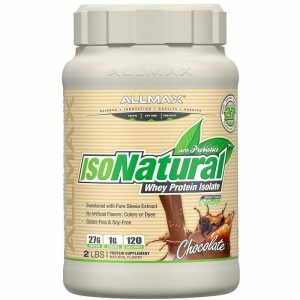 Protein blend (whey protein isolates, whey protein concentrate, whey peptides), cocoa (processed with alkali), sugar, lecithin, natural flavor, xanthan gum, rebaudioside A, lactase. Note: Ingredients described here are for the 'Chocolate' flavor. Other flavors may slightly differ. Weider Premium Whey is a high quality ultrafiltrated protein containing 20% whey isolate.